Law enforcement authorities of the Russian Federation on suspicion of involvement in an explosion in the building of OCD in Khujand detained three citizens of Tajikistan. About it on the joint board of Ministry of Internal Affairs of Tajikistan and Russia on the eve of Dushanbe, Interior Minister Abdulrahim Kahhar RT. In turn, Russian Interior Minister Rashid Nurgaliyev confirmed Tajik colleagues, noting that the prosecution has not charged the detainees, and the question of extradition, so far, not worth it. Recall, 3 September this year in the courtyard of OCD regional Interior Ministry in Khujand was a terrorist act, which killed three police officers, more than 20 injured. Previously, the Office of the State Committee of National Security in Sogd reported that on September 3 resident of Khujand Akmal Karimov, while driving the car GAZ-24, filled with explosives drove into the yard OCD, and then put in place an explosive device. It was further noted that a terror attack Akmal Karimov, assisted by his brother Firdavs Karimov and other persons who are activists of the Islamic Movement of Uzbekistan. ” In fact the explosion was a criminal case under Article 179 (terrorism) and 104 (murder) of the Criminal Code. In October this year, law enforcement agencies Sughd on suspicion of involvement in the terrorist attack on the building of the Office for combating organized crime, was detained a group of 14 people. Posted in image of the beast, UnIslamic "Islamists"
A decade after its debut on the terrorist scene in the Pamirs, as the most aggressive groups in Central Asia, the Islamic Movement of Uzbekistan (IMU) has undergone a transformation in the hundreds of kilometers to the southeast, in the mountains of Pakistani-troubled region of Waziristan. IMU is no longer a small group of fighters, concentrated on the overthrow of the Uzbek regime, and change its Islamic state. Today it has a much broader and more ambitious goals, and emphasizes its rebirth attacks, which indicate their presence in South and Central Asia. In recent years, militants belonging to the IMU directly or its branches were related to a deadly explosion in Tajikistan and violence in the eastern Rasht Valley country. His name was also in connection with the terrorist plot, which were aimed at Europe. Experts say that the security forces faced with the elements of the IMU during the sweeps in southern Kyrgyzstan this month, and they see signs that the group is gaining momentum in Central Asia and creates a new safe haven in northern Afghanistan. Few could have predicted this turn of the century. After retiring from Central Asia to Afghanistan to join Taliban in their final effort against the Northern Alliance commander Ahmad Shah Masood in 2000, almost all of IMU fighters were killed in the fight against the slave of U.S. forces in November 2001. From there, they have sought refuge across the border in the north-west Pakistan. IMU is initially adhered to a relatively low profile in his new seekers, even when thousands of recruits from Central Asia began to strengthen an alliance with militant organizations such as al-Qaida, Pakistani Taliban and other Pakistani jihadi groups. Shabkadara bombing in February 2008, agricultural area near Peshawar, the provincial capital of Khyber Pahtunkva made it clear that the IMU is once again became a force to be reckoned with. Their goal is a secular Pashtun politician Afrasiab Khattak, survived the attack. But the 25 people who gathered to hear him were killed. Khattak, who is today a senator and leader of the Awami National Party (ANP), said that the government investigation revealed that the attack was a suicide bomber IMU.Provincial government, which is under the leadership of ANP, later fought and captured many Central Asian militants in the Swat valley during the years of military operations in 2009, providing further evidence of the expansion of its role in Central Asia and Pakistan. Khattak said that the IMU and its splinter groups, have deep ties to al-Qaeda and a large part of its foot soldiers who fought in the Federal Tribal Areas (FATA), the band Pashtun areas along Pakistan’s western border with Afghanistan. “Despite the fact that the leadership of al-Qaeda is made up of Arabs, personnel representatives of the IMU is the Central Asian countries. They include ethnic Uzbeks, Chechens and Muslims from the southern regions of Russia”, – said Khattak. “It’s not that, in their series [some number] of people who live here a long time. They attract new recruits [Central Asia]. Hence, they get back to northern Afghanistan, and from there take the attack in Central Asia” . This will mean that the IMU is returned to its roots, though not in its original form. In their ranks IMU no longer has any of its founders. This summer, the group acknowledged the death of one of its founders, Tahir Yuldash, a year after he died from injuries sustained when struck with a U.S. drone in South Waziristan. Usmon Odile was declared the new leader of the IMU, though there is no real confirmation of his identity. Pakistani journalist and writer Ahmed Rashid said that the IMU can no longer be considered as one group, she gave birth to other groups with more aggressive and far-reaching plans. IMU or any of its affiliates were involved in a number of recent attacks, both at home and abroad. Islamic Jihad Union (IJU), was charged in the attacks in Uzbekistan in May 2009 and appeared in the titles of publications around the world this fall, after Western intelligence agencies discovered that they were planning attacks in Europe in Mumbai style. More than 10 of its decision makers were subsequently killed in collision with an unmanned aircraft in North Waziristan. BWI is considered more radical branch of the IMU, which draws recruits from a thriving Turkish community in Germany and the Turkic peoples. Casters observers have suggested that they were motivated by pan-Turkic goals. In September, a convoy of government troops was attacked in the eastern part of Tajikistan, killing 23 soldiers. Tajik authorities have been accused of attacking militants with ties to the IMU. In the same month, the first in the history of Tajikistan attack involving a suicide bomber, two suicide car bomber struck, killing one policeman and wounding 30 in an attack on a police station in the northern city of Khujand. Jamaat Ansarulla, a previously unknown group, which is now the Tajik authorities say a radical offshoot of the IMU, claimed responsibility for the attack. During the operation to contain the threat of militants on its soil this year, Tajik authorities have stated that they had destroyed dozens of IMU militants, who were walking across the border from northern Afghanistan. In Afghanistan itself, a growing number of attacks have been attributed to the IMU. Analyst on behalf of Rashid, who is a pioneer in the study of the IMU, said that even during the development of the group and its offshoots, their brand of defense of the Islamic Revolution supported by some Central Asian community. Does it trump the power of some of the city? For Islamabad, the presence of fighters from Central Asia on its territory is a major irritant in its relations with Central Asian states. These States, whose markets are considered important for economic growth of Pakistan, fear that militants might struggle to extend their territory. Regimes of Central Asia in the past have stood the raids IMU and other groups of jihadists. But nobody wants to face an enemy that has gained considerable combat experience. Babar said that Islamabad is doing everything possible to eliminate the threat, but his hands are tied by complex borders and the rapid growth of criminal and economic systems in the region. Rashid said that the weakness of the states themselves, which increases the threat of the IMU and its offshoots. Pakistan’s security agencies are involved in extrajudicial killings in Balochistan, the province’s chief minister says. Sardar Aslam Raisani told the BBC some of the political killings were “definitely” by security agencies. Human rights organisations say kidnappings and murders of political dissidents are at an all-time high in the province. 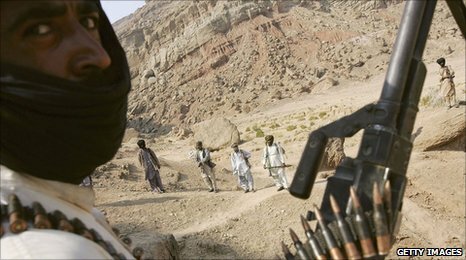 Balochistan has been at the centre of a decade-long insurgency. Pakistan’s security agencies have long denied extrajudicial killings. Mr Raisani, an influential tribal leader, is a member of the country’s ruling Pakistan People’s Party, but anti-government feeling runs high among voters in Balochistan. “Some of the abductions and killings are definitely carried out by security agencies,” Mr Raisani told the BBC in an exclusive interview in Islamabad. He also stressed that some of the deaths were the responsibility of tribesmen who have been fighting for greater political autonomy. “They [insurgents and security agents] have been targeting each others’ activists,” he said. Human rights campaigners said they were astounded by the chief minister’s candour. Ali Dayan Hasan, of Human Rights Watch, told the BBC: “The chief minister’s casual acceptance that the military is disappearing and possibly killing citizens is preposterous and appalling. Besides being the largest of Pakistan’s four provinces in terms of area, Balochistan is also rich in minerals. But many of its people feel they have been systematically discriminated against by the federal government. The province saw its first major rebellion in the 1970s, when at least 10,000 people are estimated to have died. Rebellion erupted again in 2000, when some of the insurgent leaders returned from exile in Afghanistan. It reached its peak in 2006, when Pakistani army troops killed veteran Baloch politician and tribal leader Nawab Akbar Bugti. Since then a crackdown has continued on insurgents across the province. Hundreds of Baloch people have disappeared in what human rights organisations say are state-sponsored abductions. The rebel leaders have repeatedly refused to talk to the government, despite several offers. Some of these overtures have been from the president and prime minister. The insurgents claim the army is really in charge and has double standards when it comes to Balochistan. “So many people have been killed in Karachi, but is the army carrying out an operation there?” asked Ataullah Mengal, chief of the Balochistan National Party [BNP] and former chief minister of the province. “In Balochistan, however, it’s the army and ISI [intelligence service] who are completely in control. They detain people in broad daylight. Mr Mengal is said to be close to the rebels; his own son was held without charge for several months by security forces. The opposition leader and other rebel leaders say the army has spilt too much blood for them to return. He says they will settle for nothing less than independence from Pakistan. Occupied Balochistan – Balochistan Chief Minister Nawab Aslam Khan Raisani narrowly escaped a suicide attack on Tuesday at Zarghoon Road in Quetta. The alleged suicide bomber was killed and 11 people, including five policemen, sustained serious injuries in the blast. Investigating teams say it has become complicated to conclude who was behind the attack as more than one organisations claimed responsibility for the attack on CM’s convoy. According to details, Raisani was on his way to the Balochistan Assembly when an alleged suicide bomber targeted his convoy near Sariab railway crossing. The huge blast rocked the whole locality and damaged several vehicles which were part of the CM’s fleet. Luckily, Raisani’s vehicle remained safe. “The CM’s vehicle was bullet-proof; therefore, the bomb splinters could not damage it,” a senior police official told the media men, adding that the body parts of the alleged suicide bomber spread in the area after the blast. “It was a suicide attack,” IG Balochistan Police Muhammad Iqbal alleged while talking to reporters in Balochistan. “About three to four kg explosive material was used in the suicide hit,” CCPO Quetta Abid Notakani said. DIG Investigation Wazir Khan said a team from Islamabad would arrive in the provincial capital to investigate the incident. On the other hand, the IGP Balochistan has constituted four teams to investigate the matter. The injured security personnel are identified as Khurshid Akbar, Muhammad Younus, Abdul Qadoos, Asadullah, and Muhammad Iqbal while civilians include Waheed, Zaibur Rehman, Israr Ahmed, Ali Asghar and Mushtaq. They were first moved to the Civil Hospital and later to the CMH Quetta for further treatment.The hospital sources say the condition of two security men is serious. Talking to newsman after the blast, Raisani said he was the main target of the attack and knew who the mastermind was. He said they wanted to push Balochistan towards a civil war but the government would frustrate their evil designs, adding that involvement of foreign hand could not be ruled out. “A similar attack was carried out on Governor Nawab Zulfiqar Magsi a few days ago and now they targeted me,” he said, adding that they would sit with the tribal people and moderate political leaders to discuss the future course of action. The chief minister said the attackers should keep in mind that the Baloch Nawabs and the tribal chieftains could chase them and that the government and the tribal chieftains were neither weak nor helpless. Responding to a question, Raisani expressed his inability to state whether it was a suicide or planted bomb attack but said investigation would unearth the facts. Later, he also visited the CMH Hospital to inquire about the health of injured persons and directed to ensure best treatment to them. Meanwhile, a spokesman of defunct Lashkar-e-Jhangvi Al-Almi, Abdullah Jhangvi, telephoned Quetta Press Club and accepted the responsibility for the suicide attack. BBC Urdu reported that Tahreek-e-Taliban Pakistan also accepted responsibility for the attack on Mr Raisani’s motorcade. However hours later, Ali Sher Haideri, identifying him as the real spokesman of Lashkar-e-Jhangvi (LeJ), refuted the claim made by Abdullah and said the organisation was not involved in the attack. It is important to note that Lashkar-e-Jhangvi Al-Almi is an offshoot of the LeJ and allegedly enjoys close relations with Al-Qaeda. Whereas many analysts believe that Lashkar-e-Jhangvi is the Islamic extremist wing of the Pakistani ISI. The third claimant is the Baloch Liberation United Front (BLUF), which accepted responsibility for attacking Raisani. The BLUF spokesman, Shyhaq Baloch, while calling from some unidentified location claimed that the BLUF fighters carried out the strike and it was a remote-controlled blast not a suicide attack. He warned if the chief minister Balochistan again talked against Baloch freedom fighters, they would cause him physical harm. Governor Zulfiqar Magsi expressing similar view as the CM Raisani said it was a well-knitted conspiracy to push Balochistan towards civil war, adding that, “By carrying out such attacks on tribal elders, the attackers can make headlines in newspapers but getting independent through these moves is their misperception,” he added. He further said that “Both of us (CM Raisani and Governor Magsi) can react but consequently a civil war would start in the province,” he warned. “Those who are talking about independent while on the other hand igniting civil war are committing a big mistake,” he remarked. To a query, Magsi mentioned he had always said that there was an elected government with a popular mandate; therefore, it should solve all issues amicably with annoyed brothers. However, he said dialogue was not possible with thieves, dacoits, criminal elements and those who were kidnapping the people for ransom. “Criminals should be dealt with an iron hand and it is the responsibility of the state to do so,” he said. It worth mentioning that Raisani had recently angered the Pakistani notorious Intelligence agencies by openly admitting, interview with BBC, that that they were involved in target killings of Baloch political activists in Balochistan. Only a day before the assassination attempt on his life Mr. Raisani had also condemned the twin suicide bomb attacks in Mohmand Agency, terming them a barbaric act, which could annoy the Pakistani Taliban as well their supporters in ISI. Dealing with the threat of militant Islam was raised again recently by the newly appointed Chief of the Defence Staff in the UK, General Sir David Richards. Although the general may be right that a containment strategy might be a better approach than direct, overt military intervention — in places where the US carries out drone attacks against militant groups like Al-Qa’ida in Pakistan and Yemen, and Al-Shabaab in Somalia, Islamists are constantly gaining ground at the expense of increasing destabilization of these countries — is General Richards, as an Independent editorial put it, “also right to argue that promoting education, prosperity and democracy in countries most at risk from subversion is the best way to immunise people over the long term against the virus of radical Islamism”? An examination of the empirical data, however, reveal just the opposite: that Islamists, particularly active militants, normally derive from the urban middle classes, are upwardly mobile, and usually have a good education. Such findings are confirmed by ample evidence. Marc Sageman, for instance, a professor of Psychiatry at Pennsylvania University, in 2004 released a book entitled Understanding Terror Networks that contains a study of 172 cases of mujahidin (holy warriors). Over 90% of the members of his sample came from caring, stable families, 63% had gone to college, and 73% were married; most of them had children. Likewise, in 2007, a densely researched paper entitled ‘Engineers of Jihad’ by Diego Gambetta and Steffen Hertog argued in its abstract that “graduates from subjects such as science, engineering, and medicine are strongly overrepresented among Islamist movements in the Muslim world, though not among the extremist Islamic groups which have emerged in the Western countries more recently.” Researchers from Muslim countries agree with such conclusions, including the Egyptian social scientist Saad Eddin Ibrahim, the Palestinian journalist Khaled M. Amayreh, and the Egyptian economist Galal A. Amin. It should be clear on reflection why militant Islam does not attract the poor: in a state of poverty, one’s priority is to survive, not to concern oneself with ideology. For Islamists, wealth is merely a means to an end. Additionally, religious education for the poor in Muslim countries often consists of merely learning to recite the Qur’an in Arabic — which most Muslims do not, know, and which is written in a style of 1300 years ago, similar to the distance between Homeric Greek and Modern Greek, or Chaucer’s English and Mark Twain’s English — without having to know what the words mean and studying commentaries on core Islamic texts by classical, orthodox scholars like Ibn Kathir, Al-Ghazali, Qurtubi and others, all of whom justified doctrines of jihad as warfare — whether offensive or defensive. A similar attempt to dismiss ideology as the root cause was undertaken by Robert Pape in Foreign Policy,dismissing the idea that “Islamic fundamentalism was the central motivating force driving the 19 (9/11) hijackers to kill themselves in order to kill Americans” as a “simple narrative.” Does Robert Pape therefore think that Mohamed Atta, the chief hijacker, did not somehow believe that “when the time of truth comes and zero hour arrives, straighten out your clothes, open your chest and welcome death for the sake of Allah” or that he would be entering “paradise…the happiest life, everlasting life” (from instruction manuals found in the hijackers’ luggage)? Does Pape also imagine that Faisal Shahzad did not really mean what he said when he affirmed in a tapereleased by Al-Arabiya that “you will see that the Muslim war has just started…until Islam is spread throughout the whole world…Islam is coming to the whole world…and the democracy will be defeated…and the word of Allah will be supreme,” but that underneath these proclamations his real motivation was just to end drone attacks in Pakistan (something that was undoubtedly one of his objectives)? All this reflects the central problem of the debate over militant Islam. On one side, there are those who, like Robert Pape, see the failures of direct military intervention but do not recognise the central role of ideology and identity behind the militants’ motivations. On the other side, there are those like Michael Rubin, who identify the problem of militant Islam as one of ideas, yet continue to support operations like the present surge of troops in Afghanistan, a strategy that seems to be failing. Exceptions exist (e.g. Matthew Hoh and Daniel Pipes), but few see both the need for containment and the problem of militant Islam as an issue of ideology. What are the implications for US policy? The first step to be taken is to reduce direct involvement in countries such as Yemen and Somalia, and make it clear that any foreign aggression will be met with severe retaliation. Most notably, this will mean ending drone strikes. The alternative, however, is not simply to give more financial aid. On the contrary, pouring in development money appears to only increase corruption, as these experiments in Yemen, Iraq and Afghanistan show. The most important way of combating militant Islam lies in the hands of peaceful Muslims, who might not only acknowledge that jihadists draw on broad elements of traditional theology to justify their ideology and win recruits, but also devise effective counter-interpretations and bring mainstream schools of Islamic jurisprudence in line with modern concepts of human rights and liberal democracy. Although such a program does not mean that the US government should provide taxpayers’ money to Muslim groups and comment on the nature of “real Islam,” it would help to translate and disseminate works on Islamic historiography in Muslim countries, such as those of Ignaz Goldziher and Theodor Noldeke. This would make it easier for peaceful Muslims to view the dictates in the core Islamic texts as not being literally true for all times and places. It is necessary for a new approach to be adopted that is more nuanced than those of the Bush and Obama administrations. Facilitating the spread of liberal democracy, and defeating militant Islam in Muslim countries, should be a gradual process, and not entail just calling for sudden elections as Bush did; involving US forces so heavily; or the current “business-as-usual” approach of Obama. Although the phrase “war of ideas” applies here, so far we have yet to treat the war against militant Islam as such. Aymenn Jawad Al-Tamimi is a student at Brasenose College, Oxford University. NEW DELHI: India said on Wednesday an Islamist group with ties to Pakistani militants was behind a bomb attack in one of its holiest cities, and local media reported two people were questioned over the attack. Home Secretary Gopal Pillai said traces of explosives were found at the site of Tuesday evening’s blast in Varanasi that killed a two-year old girl and injured 37 worshippers and foreign tourists. Pillai said it was “too premature” to say if individuals or groups operating from Pakistan were involved in the blast, which he said was set off by the Indian Mujahideen, a local group India says has been trained by militants based in Pakistan, including the hardline Lashkar-e-Taiba. The group also claimed the attack in an email sent to local media. “It is a terror attack. The Indian Mujahideen has claimed responsibility,” Pillai, the top bureaucrat in the interior ministry, told Reuters. No one has been arrested or detained, R.P. Singh, a senior police officer said in Lucknow, the capital of Uttar Pradesh state where Varanasi is located. But local media said police in Mumbai had questioned two people over the email. India remains jittery about the threat of militant strikes, especially since the Mumbai attacks in November 2008 which killed 166 people and raised tensions with arch rival Pakistan. New Delhi says Pakistan-based groups aid and train militants to carry out attacks against India, a claim Islamabad rejects. Investors closely monitor any signs of an escalation in tensions between India and Pakistan, two nuclear-armed rivals who have fought several wars. With hundreds of temples and shrines, Varanasi, on the sacred Ganges river, is the centre of Hinduism. Pilgrims flock to the city for a dip in the river, which they believe will wash away their sins. The Indian Mujahideen has in the past claimed several attacks, including the 2008 bombings in the tourist city of Jaipur that killed 63 people and a September 2010 gun attack on a tourist bus outside New Delhi’s main mosque. Local media said the Indian Mujahideen, in the email claiming the attack, said the blast was carried out against a court verdict over a disputed mosque site that gave two-thirds of the land to Hindu groups. The blast came a day after the 18th anniversary of the razing of the mosque by Hindu zealots. The demolition had led to some of the worst religious riots in India and remains a recruitment pitch for Islamist militants.